It’s so important to know how to automate your marketing because there are so many areas you need to master to actually grow a business online. It’s just not humanly possible to do what you need to without putting some systems in place. With automation you can “set and forget” areas of your business while being able to test what works along the way so you can make small tweaks for massive improvements. What have we seen is the main difference between automating and not automating your business? Automation frees up time, money and resources. As small business owners and entrepreneurs we are trying to wear so many different hats and still do everything we possibly can do in a day’s work. You don’t need to understand systems to automate your marketing though. A lot of people look at the word automation and they straight away think systems… like you have to have lots of software and things working behind the scenes and you have to have a “techie” mindset. Not true! Automation is more of a mindset than an ability to hook software together. You’re basically looking at your business in a way where you need to be very clear on a the main processes that drive your business forward and then work out how you actually get those processes working together properly. You have to lose the idea of doing things manually so you can set up a way of actually having leads and sales come in automatically. 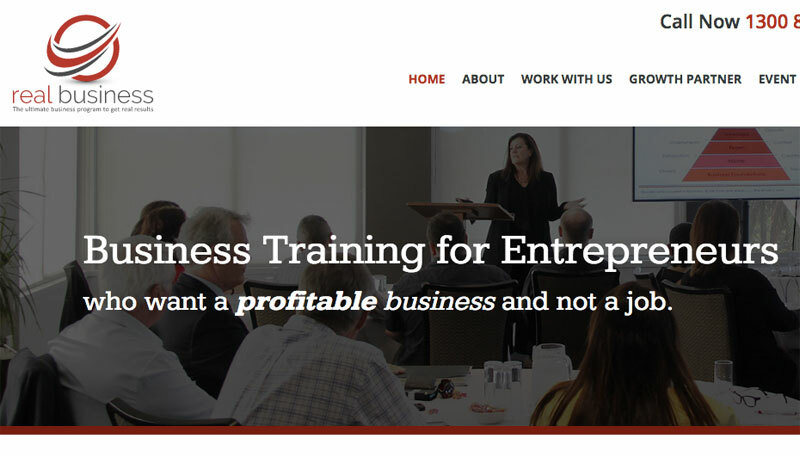 Are you ready to learn how free up some time while growing your business? You need to be clear on who you are actually selling to, or who your perfect client is, in order to automate your marketing properly. Quite often the answer is “everyone,” and it’s just not possible to target everyone. Or they’ll say, “it’s just females”… still, that’s such a large market! Getting clear on exactly who your service or product suits best is vital because if you are trying to sell to the wrong group of people in the first place, or too many people, you might end up spending too much money and time chasing the wrong avatar. There are a few tools and tactics that you can use to identify your target market. Facebook is a great place to do market research because they collect such an incredible amount of data on their users, from interests to friends to the locations that we live in. They collect data on our buying habits or whether we click on ads so it’s a great place to find out who your target market is and get to know more about them. Here’s two really good ways of doing research on Facebook. The first one is the Graph Search. CHECK THIS OUT: We have a really cool free download called “How to use Facebook Search” in our podcast How to use Facebook to Build Your Brand. Graph Search allows you to dig down into the data that Facebook collects on its users. For instance, you can search for the types of magazines that people like or who also likes a specific page. Think about that! 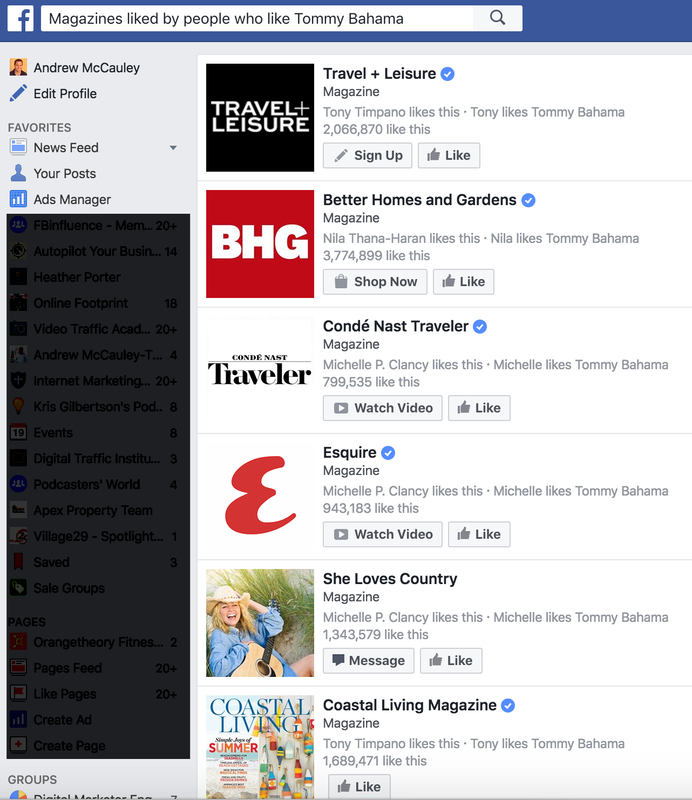 Let’s say you’re a restaurant and your competitor down the road has their own Facebook page…Facebook keeps track of not only the people who like that page, but also their other interests. They keep tabs on things like the magazines and movies they like and their favourite food or drinks. 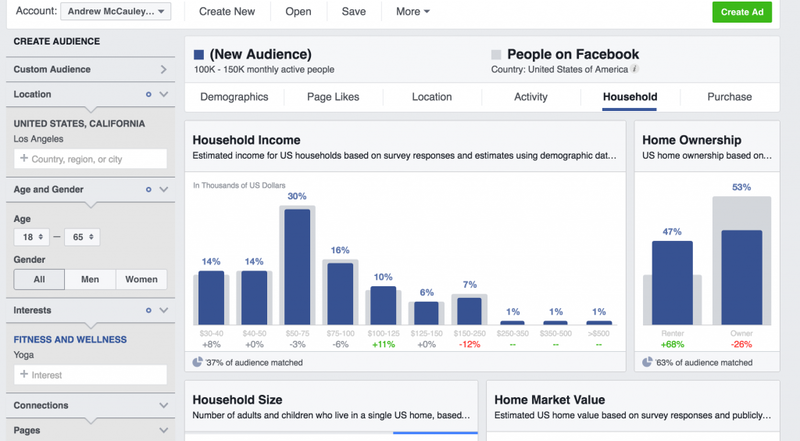 The second thing you can use is Facebook’s Audience Insights. You need to have an ads account to access this tool. 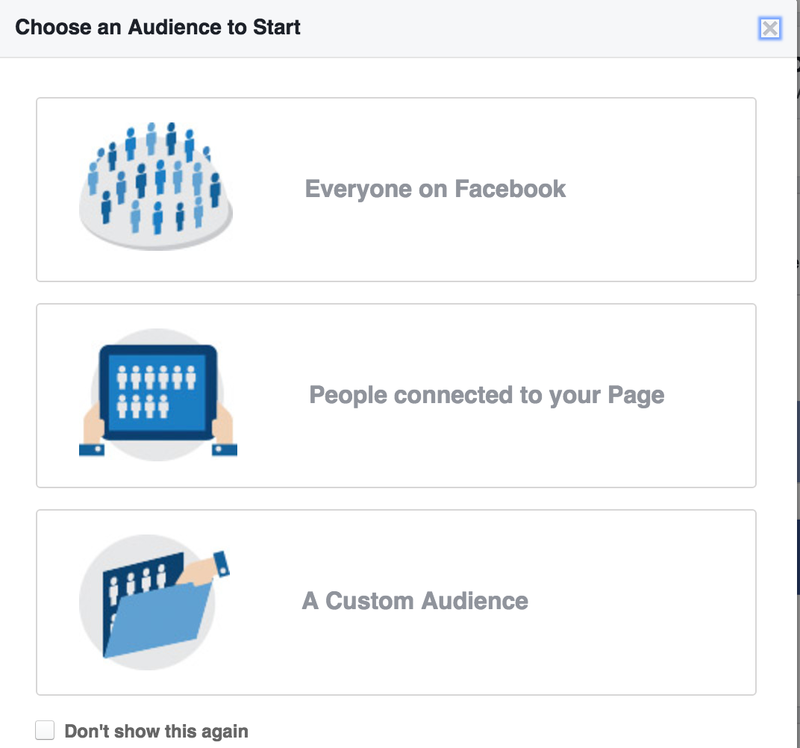 Audience Insights allows you to create an audience by choosing interests, location or other demographics and then Facebook tells you what else they like and more about their behaviours. 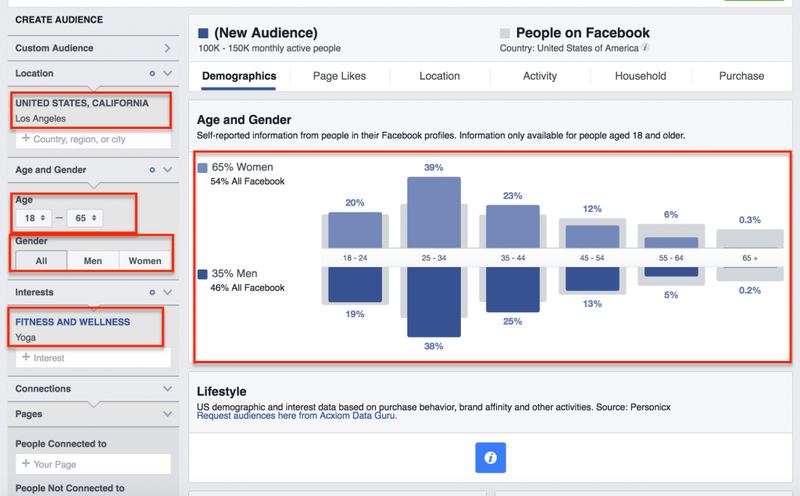 Graph Search is great because you can very quickly and easily see different pages that people like whereas Audience Insights allows you to understand the demographics more fully using the suggestions Facebook provides on what else they like. 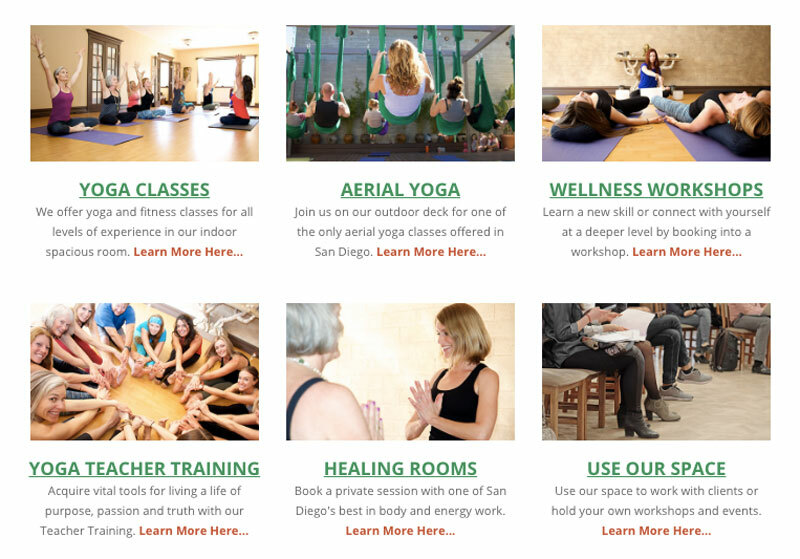 For example, if you are a yoga instructor and you want to find people who are in a certain radius of where you live, you can first set the audience to within a certain distance away from the center of your city. Then you can choose men or women, an age range, language, then the interests that they have – for example Lululemon Athletica or other yoga brands. From there you can click on the right hand side of the tool and you can see other pages that they like, things that they buy and interests that they have. It’s really handy to dive deep into really understanding the mindset and the interests of a certain target market that you’re thinking about working with. 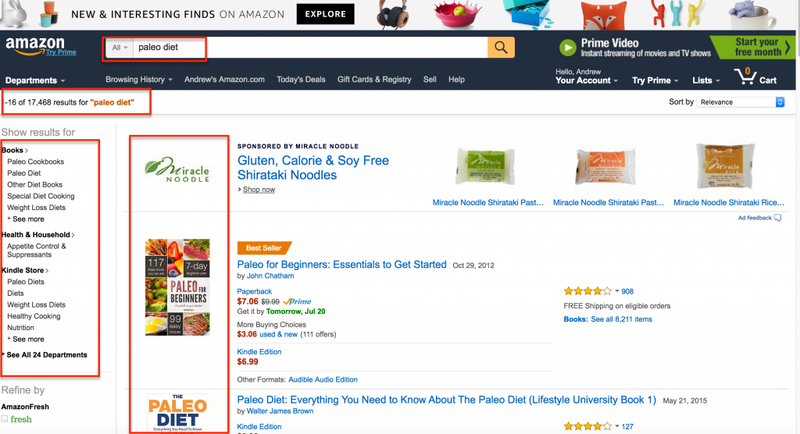 Amazon can be used in a couple different ways. At this point what you’re looking for is the types of books and products that come up. Obviously if Amazon is selling books and products on the same topic as you are looking to create a product or service for, it means that there’s a market for it. Another key tip is to look for tag lines or quick summaries, other than the title, to get ideas. For example “Paleo diets for busy mum’s”. Then you can then go into the book or product description page and look at the reviews. You can actually read what the people who are buying that particular item are liking about it. All the five star reviews are handy for that, but three star or less reviews are also handy for what they feel are missing in that particular product. You can get good ideas from what’s working well but also what’s missing in particular topics that you’re looking at selling…and all in the actual voice of your potential market. Both Google and YouTube have auto-fills in their search bar so when you start to type in a topic both with start to finish your sentence or phrase with popular search topics. 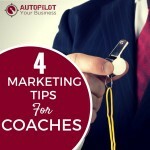 Let’s say you are a business coach. 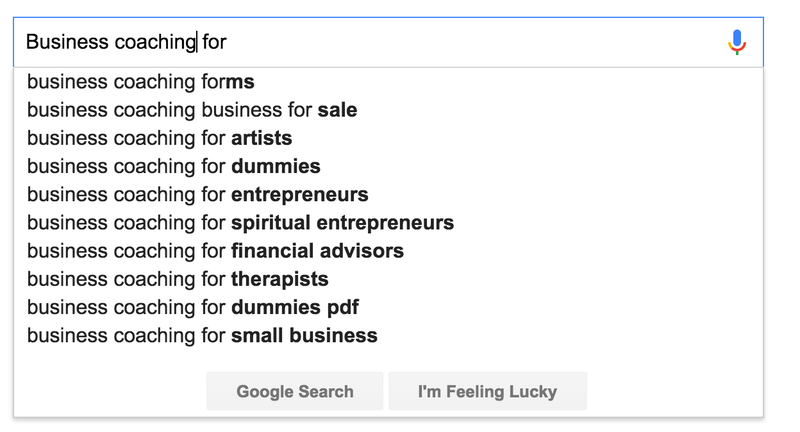 You would type in “business coaching for” and then see what the auto-fill comes back with. If the auto-fill has a lot of suggestions it means that there are a lot of people searching for that particular topic. You can also scroll down to the bottom of Google and it will give you more suggestions and a great chance to “get inside the minds” of what else your market is looking for. The same goes with YouTube…you can use their auto-fill and see all the videos that come up and then sort by or look for the most viewed videos. We’ve already talked about how to do market research for the market you want to work with, but how do you know what to sell to that particular market? This is also important in automation because you want to set something up that’s going to work. You need all the different areas in your website set up to “talk” to this target market and then obviously sell to this target market. There’s one thing you want to keep in mind and that is — many people will create a product or service that they think is needed from their target market, when it’s not actually what the target market wants. Then they set up funnels, ads and automation around that and when it does not work they get frustrated and revert back to trying to do too much themselves rather then believe in the power of a good marketing system. You really need to find out exactly what it is that your market is looking for (and not what you think they want). You can do all sorts of things — like create surveys or quizzes, study your website and social media stats, or look at what your competitors are advertising — to find out what is it that they’re looking for, or what would be a solution that you can offer to a problem that currently exists for your marketplace. You can also use the tools that we have mentioned above for finding out what to sell. You have Facebook, Google, Amazon… you could even go into iTunes and use that as a research tool. 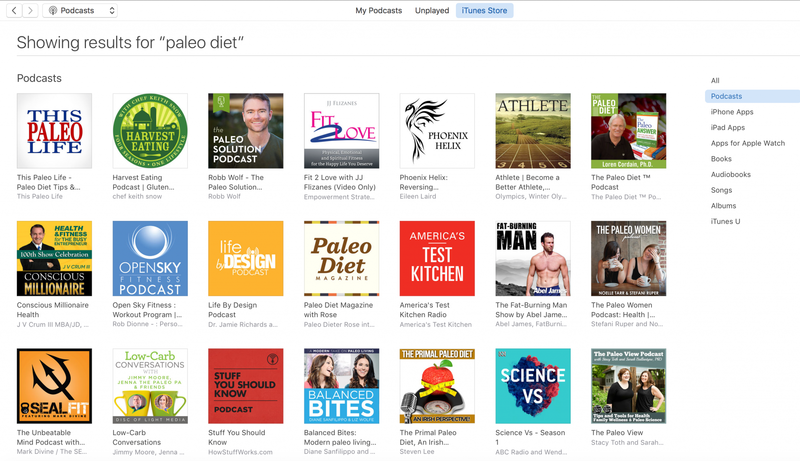 In iTunes you can sort by most popular podcasts in a certain category. If you have a whole bunch of listeners you know there’s a market wanting to know more and there’s a potential product in that. So — what do you sell? Digital products are fully automated such as downloads, memberships and eCourses. Most business owners should look at some sort of digital component of their business if possible because if it’s digital, it’s consumable without you having to be there. If you sell physical products you can of course automate certain parts of this, such as sales on your website and even fulfillments and shipping. For services you can use automated booking or scheduling tools along with email or SMS reminders that you set up once and allow to run behind the scenes. 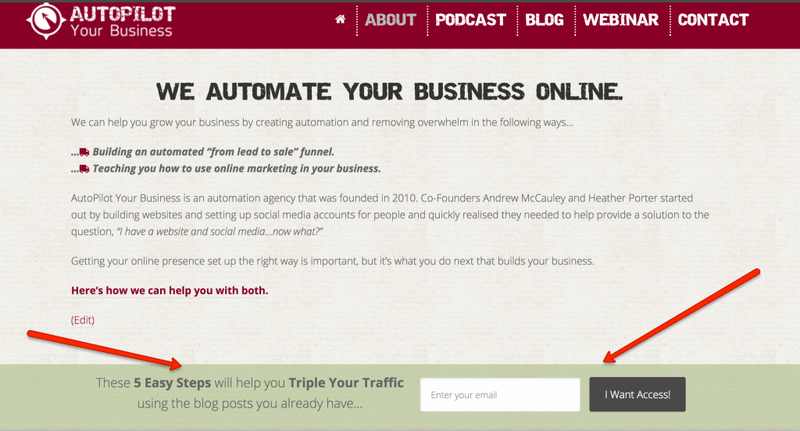 You can even automate your follow up. The key is that you want to remove yourself from the equation as much as possible and systematise anything you can. As you decide what to offer next look for clues about what’s working and what’s selling right now. You can use Google for this. 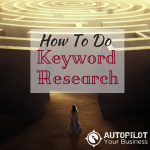 Type in a keyword phrase and seeing if ads come up. You are looking to see if there are companies running ads to a specific product you want to offer or something similar. If you find that no one is running ads to those products, then there is a fair chance that there is not a market for it. However, if on the other hand, you search and see lots of ads for a product or service, it means that it’s a pretty competitive space. If there are people spending money it means they are making money from their ads (for the most part), which can also mean it will be harder for you to break into that market. By now you should have your target market defined and are clearer on what to sell to them. Now you need a website that’s set up to not only attract your target market, but turn them into leads and sales for you. You need to have an opt-in box or lead generation opt-in forms throughout your website in important key places. Of course your home page is most important. 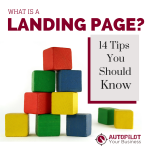 However many people forget about the other key areas.Did you know your about page is the 2nd to 4th most visited page on your website? If somebody comes into your site from a blog post or another page, and is interested in what they’re reading, then naturally they will head over to your about page to find out more about you and your business. That is why it is important to allow potential new leads an easy way to sign up for more info on this page. You also need to have opt-in forms underneath every single blog post so people can easily sign up there. If they have read your blog post to the end then they are the perfect candidate who would be interested in getting more info. You can get your website developer to automatically add in this box under each blog post for you so you don’t have to worry about trying to manually add it each time. You can also add one in your sidebar, for those who are accessing your site from a desktop computer. There’s another way of getting opt-ins — through pop-up boxes. These are the forms where people can sign up for your email list that show up on top of your website . If you’re using a desktop or a laptop computer, you can have an exit intent pop-up. These are pop-ups that only show up when somebody’s leaving your website. If you’re using a mobile device then you want to use a delayed pop-up that displays after a certain amount of time being on a webpage. This is of course because on a mobile device you can’t tell when someone is leaving a site in the same way you can on a desktop where they go to click out of a browser window. For these types of pop-ups you want to set them up to only show up after you give people some time to consume your content on your website. There is nothing more annoying than a pop-up that shows up as soon as you show up on a website right? You have only a second or 2 to tell someone exactly how you can help them before they leave your website. You want to have language that’s written about the lead and not about you. Your website needs to be all about the person coming to your site. The first thing you can do is to have a benefit statement right on your homepage. 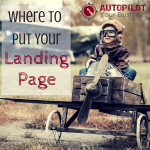 Your About page should be written to be all about the person visiting your site. It’s about how your business is going to help them. Then you can tell your story and share your bio and more about your team next once someone is interested enough to learn more about your business. First it is about them, then it is about you. 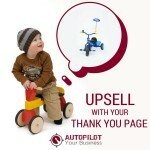 Throughout your sales pages, you always want to be thinking benefits, credibility and social proof. People do business with people that they like, know and trust. So how can you have that language on your website? Language draws them in but you also need to keep someone around. You do this with simple navigation. There should be a very clean basic navigation bar at the top…Home, About, Services or Products, Blog, Contact. You really want to limit what people can click on so instead you guide them on where to go next based on what they need or what actions they take on your website. You do this with the navigation on your key pages, otherwise known as “junction boxes”. 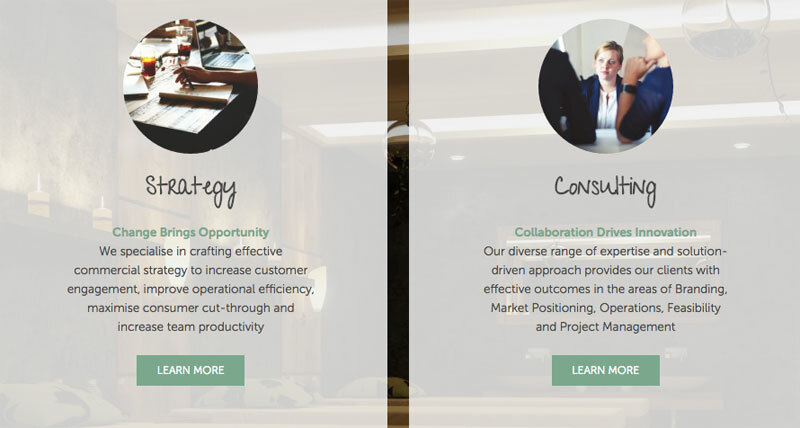 These are graphical boxes with an image, some text and a button or link to send them to a landing page. They sit throughout all the key pages on your site where you want somebody to take action. For example somebody goes to a service page and you might have five different packages that you sell. For example, you might start with – “Are you this?” or “Do you have a problem with this?”. You’re basically pre-qualifying and getting the people to the right spot. 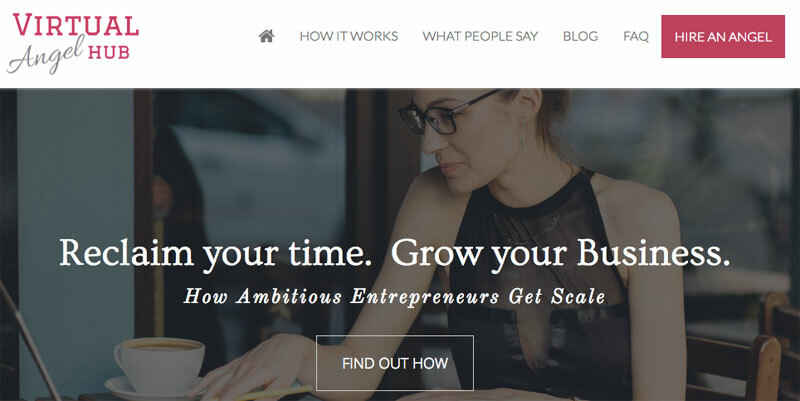 A white background with dark text is best for the majority of your content. You also want it to be scan-able and you can do this by breaking up your content into rows. You could use alternating background colours or location of images. Also consider using headlines throughout your copy. In this blog post for example you will see our key points are in larger or bolded text and we use short paragraphs. You want people to easily scan through your content to see if they’ll get value from it. Then they can read on from there. This way of writing and laying out your content is really important on your sales pages. Start with a headline at the top. Move onto benefits, or how somebody’s life will change once they use, consume or buy your product or service. 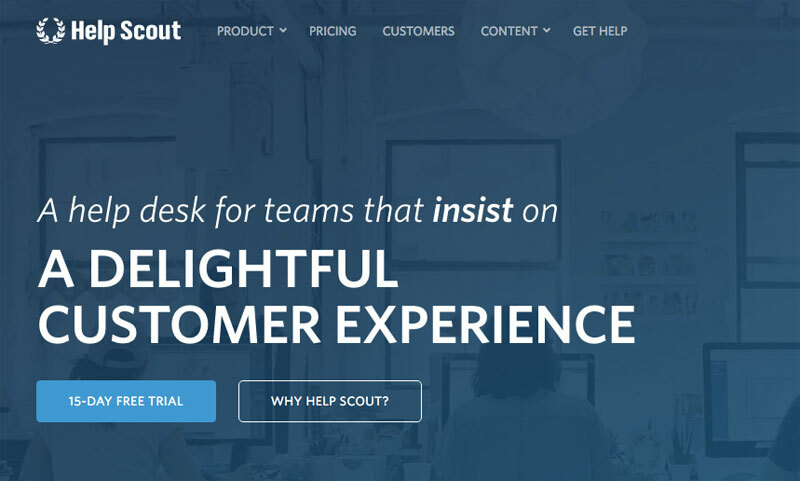 Demonstrate how others like what you offer with social proof. This would be awards you’ve won, testimonials, case studies or how long you’ve been in business. Manage expectations while getting them excited about the outcome with expected results. You want to “future-pace” or get somebody to imagine how their life specifically will change after they use your product or service. Move into the finer details with features, such as “you get 5 videos delivered over 12 weeks”. Then you have create urgency or scarcity, because people buy when given a deadline. For example you can have a monthly special where you can offer a bundled package. You could use a countdown timer with a flash sale or only offer a product twice a year. Reduce risk by helping them feel safe about the transaction. You could offer a 30-day money back guarantee. Make sure you have a clear call to action where you tell someone what to do next, such as to buy. Have them take ownership when possible by using the words in your buttons like “I want in”, “I want this download” or “I am ready”. Ownership always works better than having words like “submit”. Try and think of a good color, a navigation color that’s consistent so that your buttons and your call to actions are all the same color. You are trying to get somebody on board– this is the way forward to take the next step with me — and use them throughout your site. This can be for opt-ins; this could be for sales, but this could also be for little bonus downloads or things that are very specific to the page that somebody’s on, such as a blog post. This is where automation comes into play. Right up until now, we’ve really just talked to you about the mindset of automation and understanding how to set your website up to get leads and sales and get people wanting to do business with you. Obviously when somebody opts-in, you do need to communicate with them. To get their email address you need to give them a free item, a discount, a voucher, a download, a newsletter — then you need to follow up. A term that’s used widely right now is “nurture sequence.” When somebody opts in, you are looking to nurture them to get to know how you can help them by providing them with lots of value. 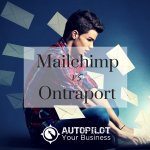 This part is automated because it involves setting up auto-responder emails, or automated emails that go out to the people that have opted in to your site. You write them in advance and send people to different content pieces or bonuses on your website. 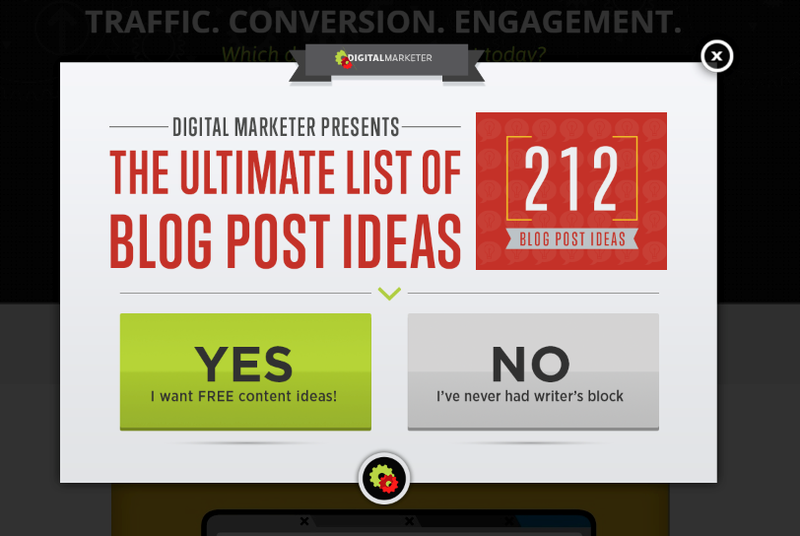 Many people use blog posts to deliver this content. If you have good blog posts, you can just send them to your best posts. Or you can also use web pages with additional helpful resources. Then throughout these conversations you have on email, you continue with natural next steps in the content you send them to on your website. 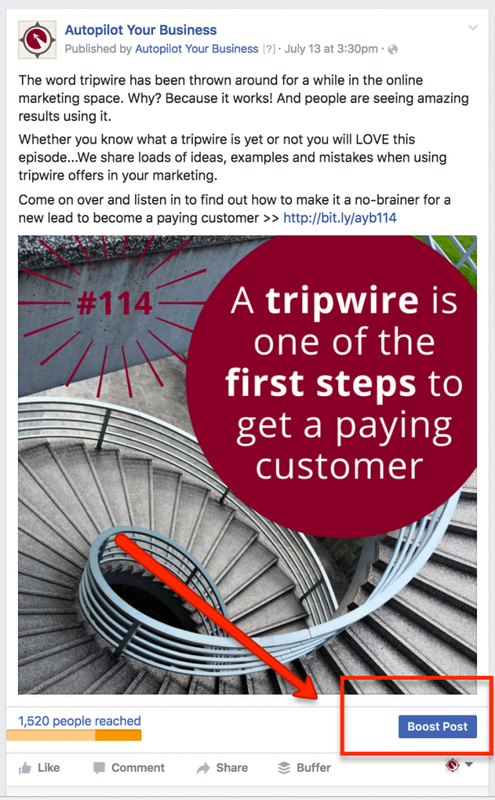 Inside a blog post you could promote a product and send them to your sales page for example. Maybe one email could be a story, a profound epiphany that you had and how that can help someone else. Or it could be a resource you wished you had prior to going into business. Then you just link words in your conversation to where they get more info or learn how to work with you. Your outcome is to help people and to guide them to more content, products or services you have that can help them. Don’t be scared to talk about your content in a lot of ways, on different days, and on different platforms. People will forget what you posted or emailed to them in the past. Want to learn more about using email marketing automation? 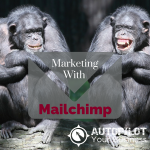 Check out this article about how an email program like MailChimp works. Here are some tips on what you should do and not do when setting up your emails. At this point in this article you are now feeling more confident about how to have a website that’s going to convert and you know how to find your ideal client. Once you have a solid foundation ready for leads you need to understand how to get more traffic. One of the easiest ways to get traffic is using social media. You can use organic, or free, posts or you can use ads. 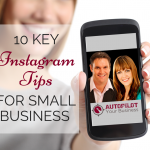 Yes, you can definitely automate your social media! To automate social media, let’s talk about a couple of tools we use to not only come up with good content, but to also automate some of our posts. 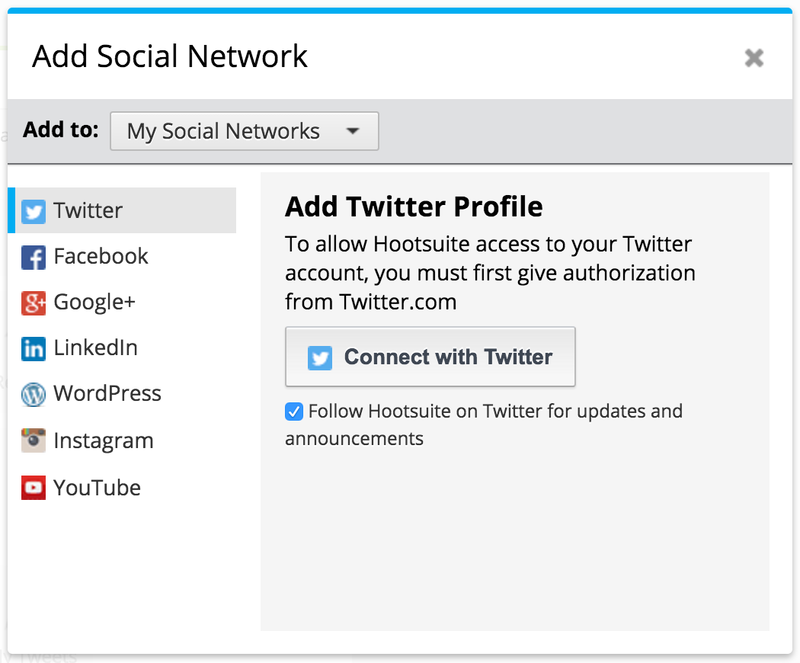 HootSuite is one of our favorite tools because it lets us not only schedule posts in advance but it covers pretty much nearly every platform, whether it’s LinkedIn, Facebook, Twitter, Instagram or YouTube. It lets you not only monitor your posts and engagement, but it also lets you schedule your posts in advance so that you can make sure that you’ve got something going out on your social platforms regularly and consistently. Of course, we don’t encourage that that’s all you do on your social media platforms, because you still want to engage and involve your followers on a regular basis. But this is great for making sure that you’ve got consistency across your different platforms. Buffer is also great for setting up a regular schedule. If we come across other people’s information we want to share, then we will use Buffer to do that. For example, if we see an article on CNN and want to share it, but don’t want to share it right now, we will use Buffer. It is a great tool to use “on the fly” when coming across shareable content online. MeetEdgar is a tool that costs a little bit more, but it’s a really great tool to build up a library of content. If you have a lot of blog posts, you can put them into this tool and it will automatically pull from past libraries of content when you run out of posts and post new content for you. It allows you to set up a compounding effect using your social media automation. For Pinterest you can use Tailwind. Tailwind is an automation tool for Pinterest users and it works really well with HootSuite. You can actually plug it into HootSuite and then you can use that to automate your Pinterest. For Instagram, there are not a lot of options for full automation. Buffer’s just come out with a new integration. Like HootSuite, this is still a 2 step process, where Buffer and Hootsuite will let you schedule the Instagram posts and at the time of posting, they will send you a notification, usually a text or mobile notification to let you know it’s time to post. Grum is a new tool that let’s you post pictures to your Instagram account and schedule them all from your desktop. They use a different system from Buffer and Hootsuite, so that seems to be able to get around the strict rules that Instagram have applied for using third party hook ups. The next step on social media is of course to use paid social media. A really great way of doing this is to promote every single blog post that you write by creating a post on your Facebook Page mentioning it and then boosting it with $5-20 to get it seen by those who like your Facebook page or event new markets. You can also do re-targeting where you’re boosting posts to people who have been to your website or your blog posts before. Using social media to have conversations, the same conversations that you have on email with a nurture sequence, is really handy. Remember, even though we’re talking automation, the key is that you never “set and forget” everything. You can use social media both with ads and these automation tools to have ongoing content delivered with paid traffic and organic traffic over time to get people into your website, into your opt-in forms, and to then follow up with them to sell your products or services. The magic however with automation is the human touch points and using automation to allow you to find these. 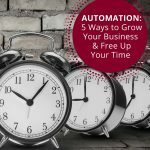 The automation mindset allows you to simply systematize the items that are clogging up your time to grow your business and open your time to take better care of your leads, clients and your tribe. 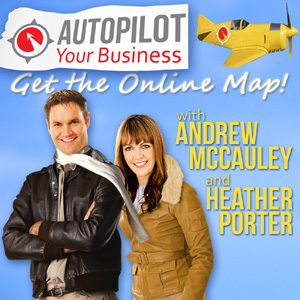 Feel like you are wasting time and money on things that don’t work in online marketing? Get updates that will knock your socks off!